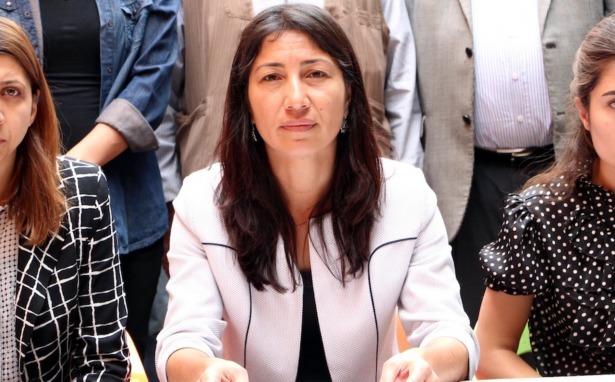 Leyla Birlik, a former Peoples’ Democratic Party (HDP) deputy, has reportedly requested asylum in Greece after fleeing Turkey via “illegal means,” the Hürriyet daily news reported. Birlik was detained by Turkish police on Nov. 4, 2016 along with 13 other HDP deputies on accusations of disseminating “terrorist” propaganda as part of a large-scale investigation into the outlawed Kurdistan Workers’ Party (PKK). She was released pending trial on Jan. 4, 2017 with a travel ban imposed by the Şırnak 1stHigh Criminal Court, which later convicted her. She is currently free on bail pending appeal. #LeylaBirlik A former lawmaker from the pro-Kurdish People’s Democratic Party has requested asylum in #Greece after fleeing #Turkey. I feel her ordeal, but I worry for others who are still in Turkey, her escape will be used to demonise others. According to the Hürriyet report, there were no outstanding detention warrants for her, although two criminal cases had been opened against her. The Supreme Court of Appeals had previously overturned a ruling by the Ankara 2nd High Criminal Court that convicted her of membership in a terrorist organization and spreading terrorist propaganda. Birlik entered parliament in the general election of June 7, 2015 and was re-elected in the repeated parliamentary election on Nov. 1, 2015. She was not among the parliamentary nominees of the HDP for the elections on June 24 due to her conviction. Turkish courts refused to release Republican People’s Party (CHP) deputy Enis Berberoğlu and HDP deputy Leyla Güven despite their re-election on June 24.